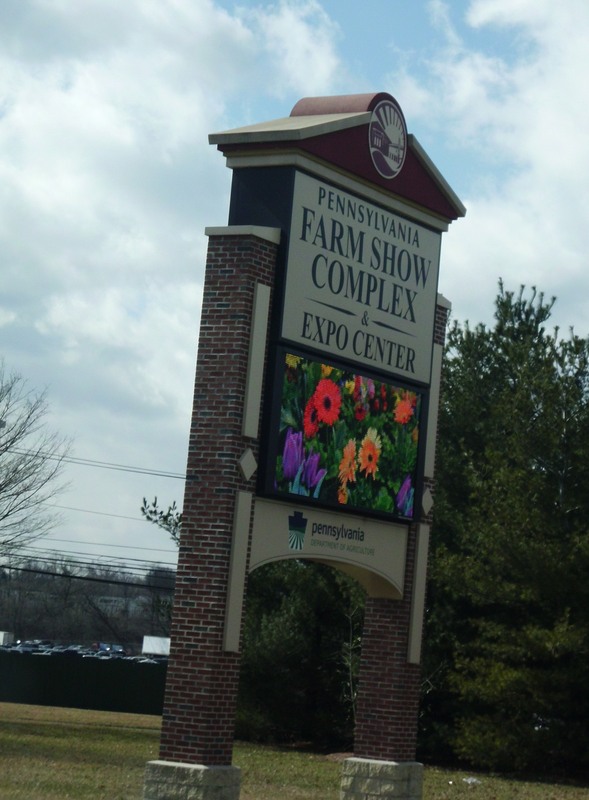 The Pennsylvania Horse World Expo was pretty cool. My teammates, Linda and Kim and I went up to Harrisburg to work the MGAA booth all day Friday along with friends Genevieve, Tommy and Annie. 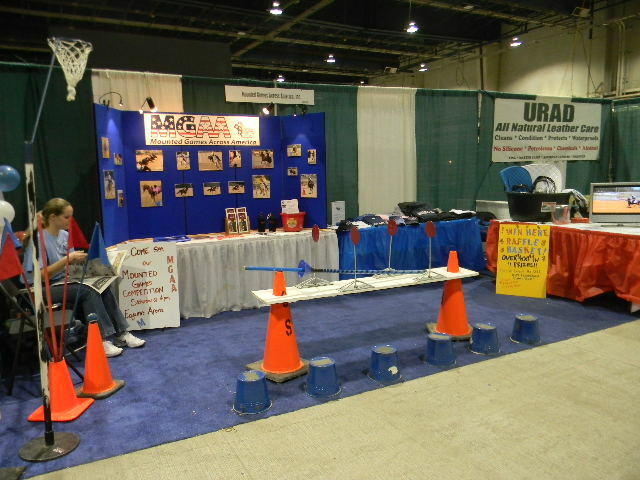 It was a really good time and the booth was pretty busy. 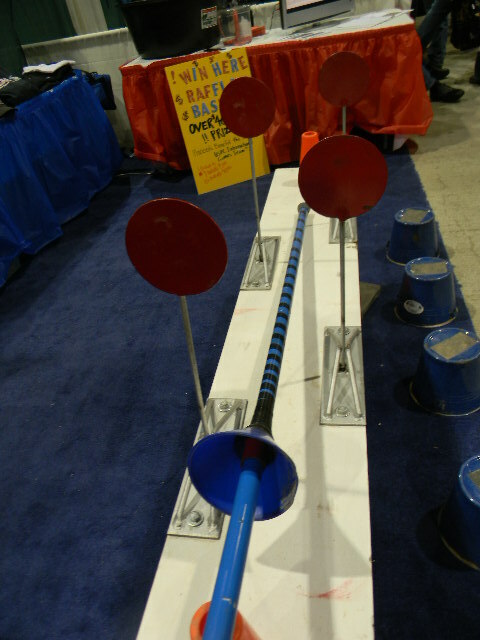 The video running, the photos on the blue display board and the big joust board out in front of our booth all attracted people and we spent most of the day chatting about mounted games, MGAA and telling people how they could give it a try. I spoke to some jousters, as in full metal jousters, eventers, hunters, barrel racers, trail riders, pleasure riders and people of all ages. I talked to people who traveled from as far away as New Hampshire and also people down in my own area in Virginia! We gave them info about clinics in their area, directed them to our website and invited them to watch the demo we would be performing the next day. Kim and I walked around the venue, taking in the sights and did a little shopping. I picked up a trailer aid, which I have been wanting to get for my trailer, and a new set of blue cotton reins for Simon. 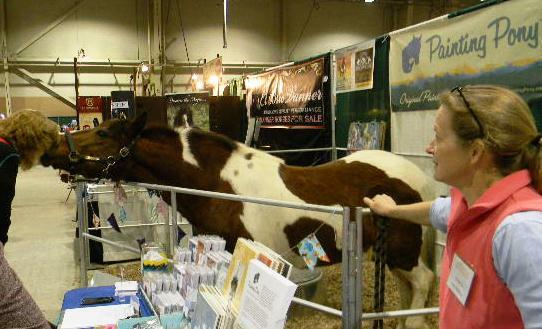 There was a lot to see and just about everything equine you can imagine to purchase. We stopped by the event rings and round pens and got a feel for the whole venue, which took hours. My feet hurt. It was a day well spent. I am pretty enthusiastic about mounted games and can ramble on about it all day long. But, the only thing better than talking about mounted games all day, is actually playing mounted games all day. Which is what we did on Saturday. But you will have to wait until tomorrow to read about that! 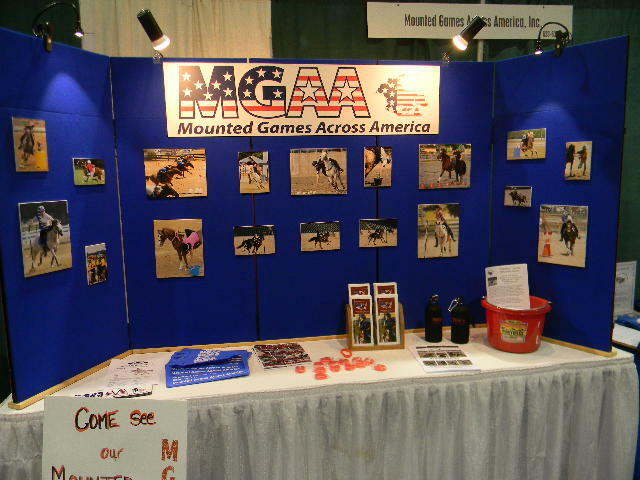 If you would like more information on mounted games, MGAA or Blue Ridge Games, feel free to post a comment, send me an email kristashine@hotmail.com or click on one of the corresponding links in the side bar on the left.